View our comprehensive range of replacement wardrobe door designs, colours and prices. 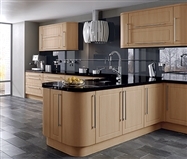 Quality replacement kitchen cupboard doors available in standard and made to measure sizes, click here for details. 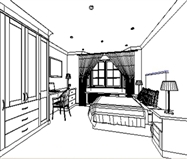 See how our expert design service can create your ideal bedroom design. Delivery is available throughout the UK. Whether you are looking to design a new bedroom or looking to revitalise existing wardrobes or kitchen cabinets, our selection of quality hinged replacement wardrobe doors and kitchen doors provides an extensive choice of both modern and traditional designs. Each design is available in a large selection of finishes as well as in standard and made to measure sizes. For quality assurance, products are supplied with 6 year manufacturer's guarantees so that you can be confident in the reliability and durability of the products you purchase and at a cost that offers not just quality, but superb value for money. In addition to replacement wardrobe and kitchen doors we also supply bedroom units and kitchen cabinets. Made to the same high standards as our doors, available in a choice of complementary finishes and with standard and bespoke sizes available. All bedroom and kitchen units are supplied with quality Blum hinges and closing mechanisms, providing easy assembly, total reliability and the smoothest of closing actions. With the exception of wardrobes and tall units, cabinets are delivered pre-assembled, not just saving you time but providing assurance that the units you purchase are made to the highest specifications. We welcome both trade and public enquiries. 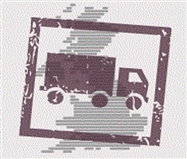 Our aim is to provide all our customers with high quality products at value for money prices. For more further information call us today on 0208 916 2180 or e-mail info@doors-sincerely.co.uk. I received the doors I ordered and yet again the service, delivery and product are amazing. I have only ordered twice from you and will certainly be doing more in the future with your company. Both clients are delighted with their job so keep up the good work and thanks very much. I just wanted to thank you and anyone else concerned with regards to the prompt delivery of my order. I paid for the fast track delivery as it was really important and you didn't let me down. I'm very impressed with the quality of the product for a reasonable price. Will definitely use you again and recommend you.